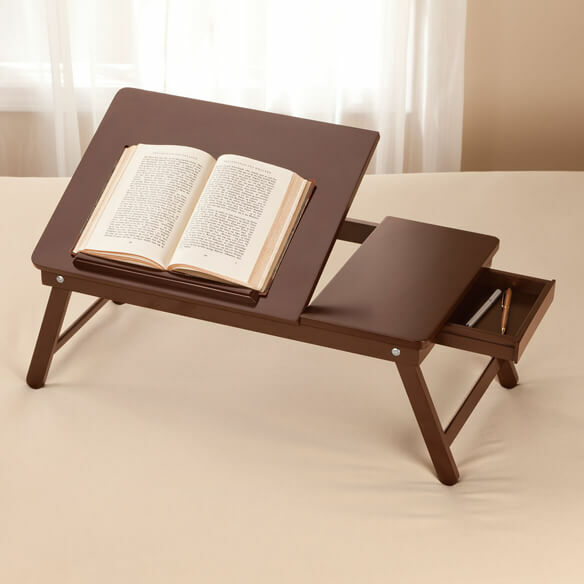 Lap desk with storage by OakRidge™ puts versatility in your lap. Use it flat for eating, crafting or computer use. Tilt up the left side to 3 different angles, with a 1/2" lip to support papers or books. 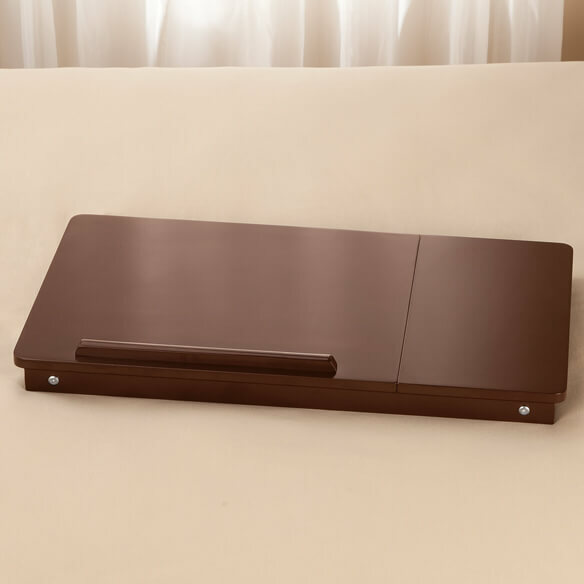 The right side stays flat and features a drawer underneath for remotes, pens and more. 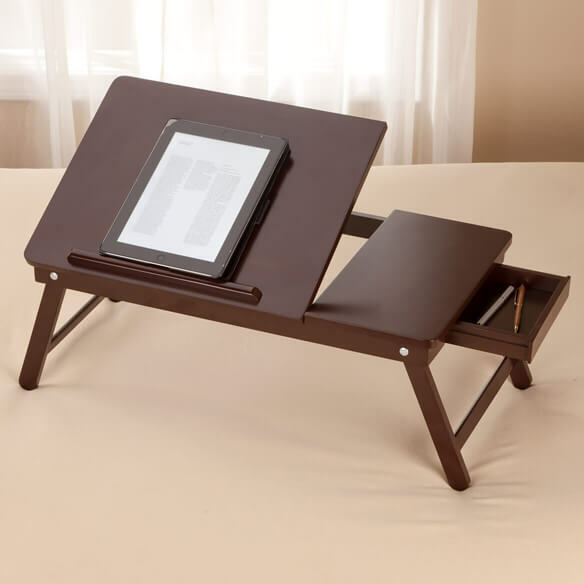 Portable desk is perfect for use on a sofa or bed, its legs fold under for compact storage. Pine and MDF desk arrives fully assembled. 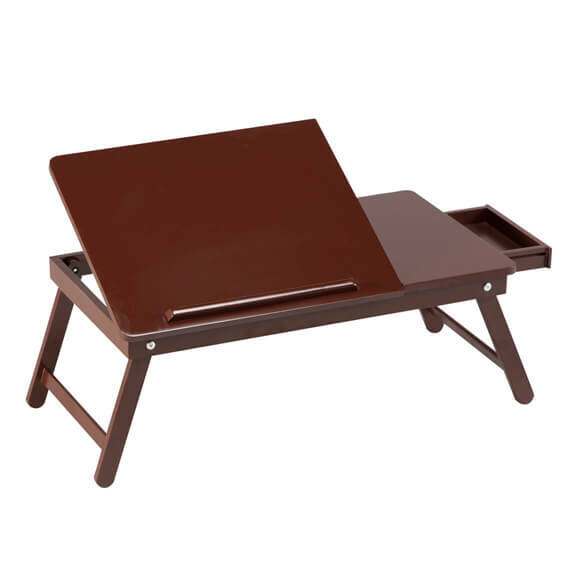 Craft desk measures 23 3/4"L x 13 3/8"W x 9 3/4"H overall; 2"H when folded. Tilting surface is 13 3/8"L x 16 1/2"W.
Drawer interior is 6"L x 6 1/2"W x 1"D.
this item will make it easier for my mother, to sit and read.